A hundred-day countdown for FIFA’s Confederations Cup has begun in St Petersburg, Russia, where a crowd took part in a dancing flash mob to mark the occasion. 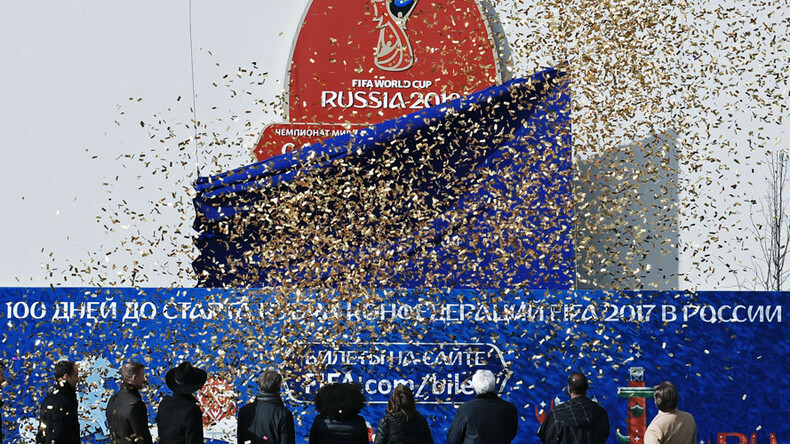 Young people flooded St Petersburg’s central square to mark 100 days until the 2017 FIFA Confederations Cup in Russia, an important tournament ahead of the 2018 World Cup Russia will host. Volunteers, along with dancing school students, performed traditional dances of the countries that will take part in the competition. Apart from that, they formed a gigantic figure “100” in the middle of the square, which can be seen on a drone video. Brazilian football legend Cafu was spotted among the dancers. Speaking at a ceremony that celebrated 100 days to go to the FIFA Confederations Cup at the recently opened St Petersburg’s Zenit football stadium, he praised the venue that is to host the matches of the Confederations Cup as well as of the 2018 World Cup. “This stadium is fantastic. It is a modern venue in a beautiful city hosting a very important tournament," Cafu said, as cited in a FIFA statement released on Thursday. “I have great memories of the Confederations Cup. It is a very competitive and short competition, which I am proud to have won. And of course, it is a great way for teams and hosts to prepare for the World Cup,” Cafu said. The Brazilian icon was joined by Russian national team veterans goalkeeper Vyacheslav Malafeev, defender Dmitry Sennikov and midfielders Roman Shirokov, Evgeny Aldonin and Alexey Smertin. 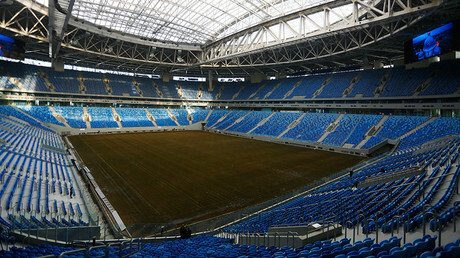 The St Peterburg stadium as well as Moscow’s Otkrytiye Arena, visited and duly appreciated by RT’s Ilya Petrenko, are ready to host thousands of cheering football fans. The FIFA Confederations Cup 2017 will take place between June 17 and July 2. The host cities are Moscow, St Petersburg, Sochi and Kazan. The tournament is to feature Russia as the 2018 World Cup host country, FIFA World Cup winner Germany and the reigning champions of all six confederations: Australia, Cameroon, Chile, Mexico, New Zealand and Portugal.